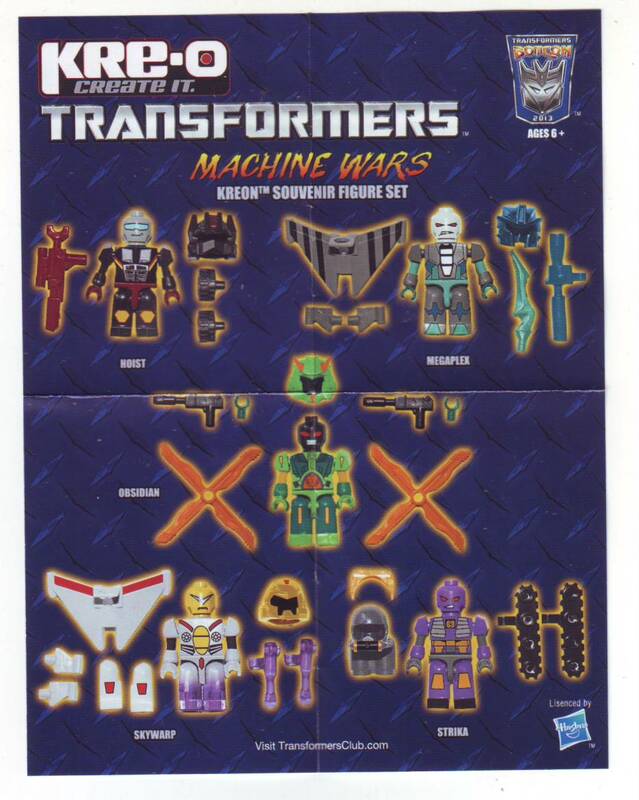 This year, Fun Publications produced a five figure Kreon set of the Machine Wars: Termination characters. 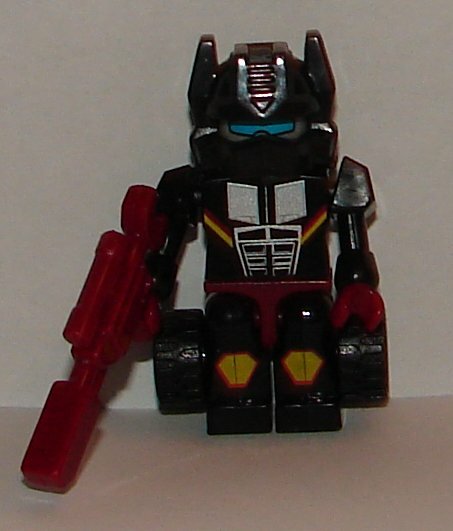 It would have been much nicer if the were Micro-Changers and could actually transform, but of course, they didn’t do that. I assume they gave Megaplex Megatron’s gun since he is supposed to be Megatron’s decoy, but they didn’t actually make a Megatron so that makes little sense to me. 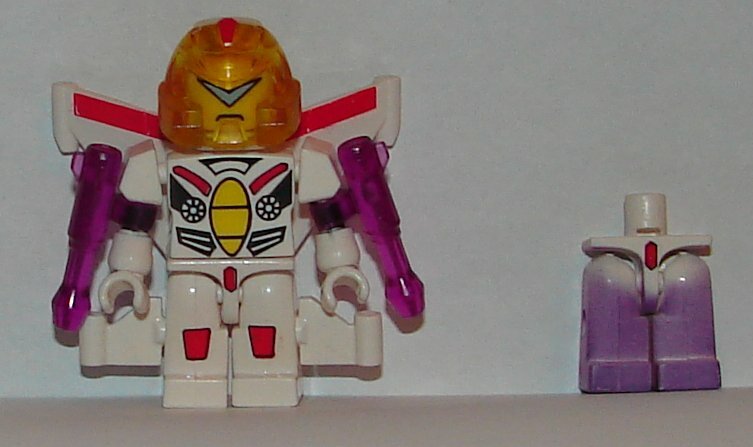 Otherwise he’s not bad, but I’m not sure why they gave him a translucent helmet. Also, I found this in my Megaplex bag. 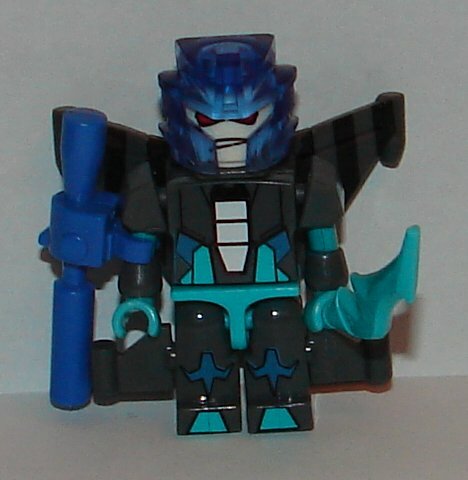 This one is on Hasbro, but the quality of Kre-O has never been what it should be. 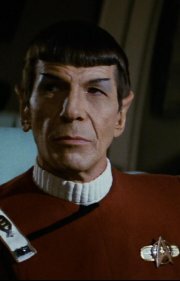 Still, we should not be getting severely damaged parts like this. Can’t blame Fun Publications for this one. 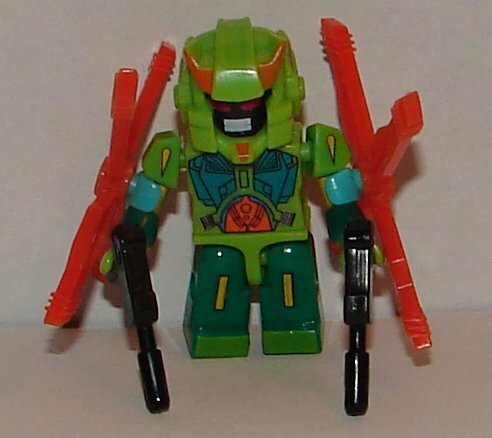 Hoist has a really nicely painted torso. I’m not sure I like the look of the helmet, but he’s not bad. I love Strika, she’s the best one of the set. She’s nicely painted, and they used a helmet from one of the Battleship sets for a decent Kre-O approximation of her head. 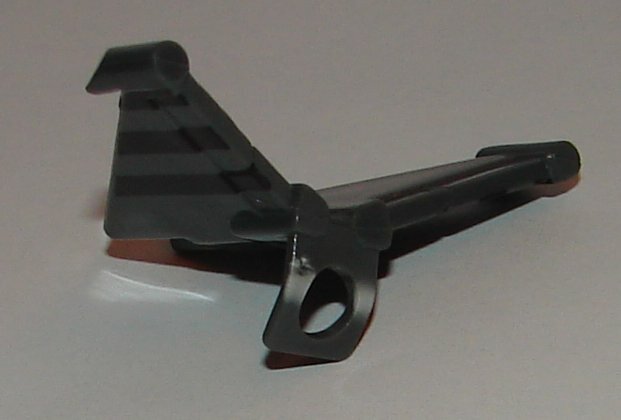 With Obsidian, they had to solve the problem of how to clip rotors onto Obsidian’s arms, something that no other Kreon has had (to my knowledge). 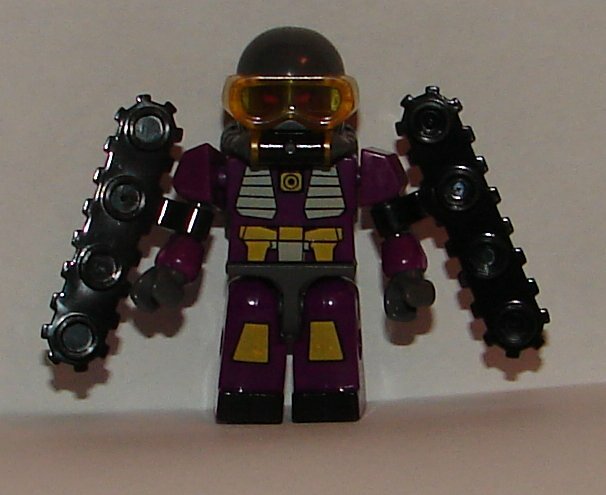 They used an extra set of hands to clip onto his arm and the rotors. It’s not perfect as they don’t spin, but it’s pretty cool. He’s got a nice paint job. 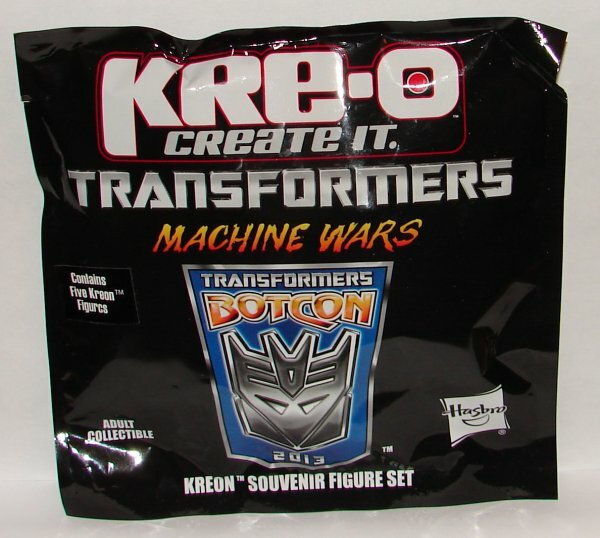 This entry was posted in Toy Reviews, Toys, Transformers and tagged Botcon, Botcon 2013, Fun Publications, Hoist, Kre-O, Kre-O Set, Kreons, Machine Wars, Machine Wars Termination, Megaplex, Obsidian, Skywarp, Strika, Toys, Transformers. Bookmark the permalink.